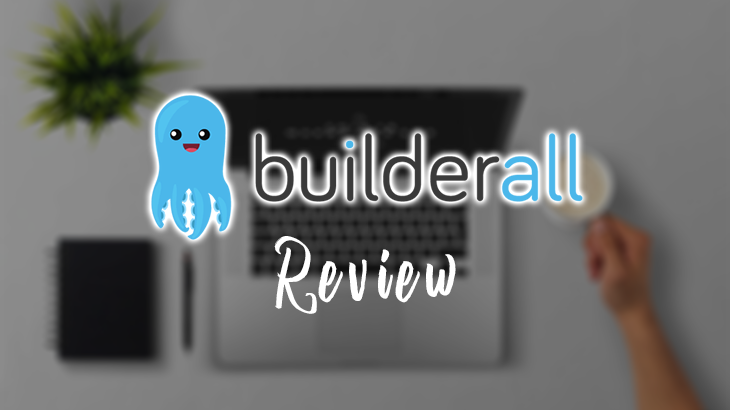 Welcome to my Builderall review! “Imagine a world where you can access all the marketing tools you need to succeed in your business!” - says the Builderall sales pitch. Do you believe that there is such a place where you can have everything you need to succeed online? Well, after all, there are so many scams out there claiming that all you need is to buy their product and you'll be successful. So, is Builderall a scam? Summary: Builderall is a great platform which offers a wide range of tools to help you grow your online business at a very affordable price. But it's a stand-alone platform which means you'll have to switch to a totally new platform if you're already using WordPress to build website. Also, in order to continue running your business, you have to keep paying Builderall recurring fees. You see, as you get more and more advanced, you're going to pay for more and more services as well. In short, it offers both Web design and digital marketing tools. Not only that, their prices are also extremely affordable. Animated Video Creator - This is a very cool feature. You an easily create your own animated video to promote your business. Floating Video Creator - The feature the makes your video float on your website. On-Page SEO Report Tool - Another good thing about Builderall is that their website can be indexed and rank on Google. This tool helps you optimize your Search Engine Optimization (SEO) settings. Facebook Integration - Builderall websites can seamlessly integrate with your Facebook page to gain more leads and customers from your followers on Facebook. Click/Heat Map Tool - This is another interesting tool. This is often a paid service from other companies. You can track how your audience behave on your website to optimize your conversion rate. iOS/Android App Creator - Last but not least, another unique tool. You can easily build your own mobile App in their platform. On top of that, there's a Private Facebook Group for all Builderall members as well as Weekly Live Training for you to learn new skills. However, I believe Builderall is NOT for people who already have their own websites unless they want to spend time and money to switch platform, which I think is a stupid idea. 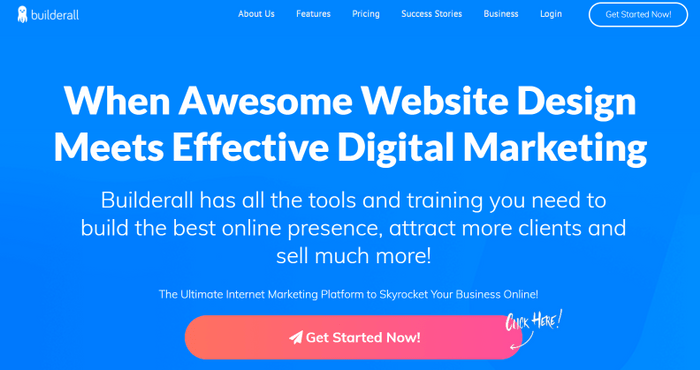 So, if you happen to be someone who doesn't have a website yet and want to build one for your online business, Builderall is for you. Builderall is also for you if you just want to build a landing page or a funnel for your next campaign. Other than that, I wouldn't recommend you to switch into a totally new platform like chasing a "shiny object". Think about this for a moment. Builderall is offering 13 main features in their platform and they're only charging you like $10 per month? $30 per month? That's a crazy deal! Like I've mentioned earlier on, there's this problem called the "Platform Lock-in" issue. What this basically means is that you're indirectly forced to keep paying them the recurring fee in order for you to continue running your business. It's also quite hard and troublesome for you to switch to another platform. So, they're willing to charge you a very cheap price upfront. But they're collecting much more profit at the back-end, including several upsells of course. Builderall brings everything under one roof so that you don't have to overpay and over-complicate things. I would be happy to pay $50 per month or even up to $100 per month for all the services they provide. Yet, they're charging at only $10 and $30 per month. It's a pretty crazy deal. As you can see in the demo video, it's very easy to build your own website and landing pages using Builderall. All you need to do is "drag and drop" elements to the places you want them to be at. It's absolutely WYSIWYG (What You See Is What You Get) platform! You have to purchase your own domain but it's rare to see company offering UNLIMITED web hosting service. This is a very unique feature because not many platforms out there allows complete newbies to build a mobile App by just using simple drag and drop functions. Most products out there only target a specific group of people. However, like what I've listed earlier on, Builderall is catered for a wide range of audience. 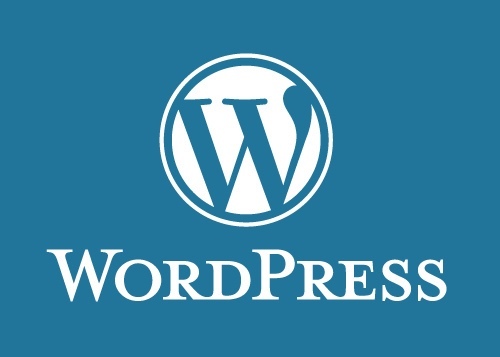 To be honest, using WordPress is like learning a completely new language in the beginning. So quite a number of people may struggle with WordPress when they're just starting out without clear guidance. Unless you know how to code, it's hard for you to customize all the design features to make it the way you want. Builderall's powerful page design function is a much better alternative if you are very particular about your website design. Last but not least, you're able to get your money back within 30 days if you're not satisfied with Builderall. Having said that it's better than WordPress in terms of design, WordPress is still the leading platform for building websites. For your info, WordPress runs 28.9% of the entire Internet. (Source: codeinwp) That's a huge share! Most importantly, there are more freedom in WP. You won't be stuck to the platform like you will in Builderall. If you've noticed, I haven't talked about the "Builderall Business" package as shown in the pricing plan. This is the "play-to-play" situation I'm talking about. You're basically paying in order to be paid. Sounds wrong, right? Yes, they do offer quite a number of training and resources to help you promote Builderall. But from my experience, I just feel that it's not worth it to keep paying $50 per month for an affiliate program. If you want to promote Builderall and earn affiliate commission, go to JVZoo and search for Builderall. As you can see on their pricing options page, they didn't clearly indicate that the prices listed are monthly recurring. If you're not observant enough, you may think that it's a one-time fee. I've explained this earlier on. Basically, you're indirectly forced to be a lifetime customer of Builderall if you want to continue running your business. Theoretically YES but in reality NO! Builderall allows you to design your page in three different format - desktop, tablet and mobile. So you need to design three times in order for your page to look decent on all platforms. The problem with Builderall is that its software is not built to be responsive. That's why you need to design 3 times on each device. Still don't understand what I'm talking about? ​​​​​After watching this demonstration, you'll find that Builderall is really not that great after all. It's just an average or slightly above average page builder. Let's be honest, Builderall is very similar to many other tools in the market, simply because it covers such a wide range of services. ClickFunnels is the world's leading software company for building sales funnels. ClickFunnels specialize in "Funnel Hacking" and they are the leader in this field. Much more successful than Builderall. Thrive Themes is a company focusing on building Conversion Focused WordPress Themes and Plugins. So basically, they have similar missions in building conversion optimized websites, but using a completely different platform. Both have page builders. 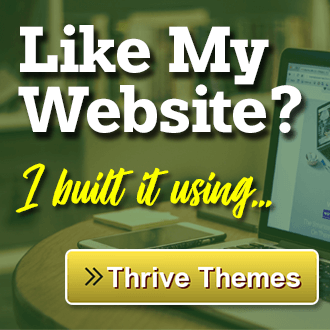 Thrive Themes' page builder is called Thrive Architect. Both have 'drag & drop' features in their page builder. Thrive Themes is not a website builder. It's just a software company creating WordPress themes and plugins. ConvertKit is my favorite Email Service Provider (ESP) while Builderall has its own ESP or autoresponder called "Mailing Boss". LeadPages is another tool which is similar to ClickFunnels and Thrive Architect. It allows you to build landing pages and sales funnels using 'drag & drop' feature. Builderall has more functions and it is much cheaper than LeadPages. Last but not least, if you've been following my website, you know that Wealthy Affiliate is always my top recommendation when it comes to setting up your own websites and building your own online business. Builderall doesn't teach you about how to make money online. It only helps you build websites and create the supplementary tools in your business. If you're completely new to internet marketing and this whole thing of making money online, I would recommend you to follow Wealthy Affiliate's training. Builderall is only for the technical stuffs. "Is Builderall worth it?" and "Should I use Builderall?" are two different questions. Yes, Builderall is worth it because it's a great deal judging from the price and the things they provide. I know it's very tempting to see such an All-in-One platform that provide you with so many things at a very affordable price. But do you really think they're reliable in the long run? I'm not implying or predicting that Builderall will shut down in the near future. All I'm saying is that you should really be cautious about the quality of Builderall's products. There's a saying that goes like this, "You get what you paid for". We all know there are scams out there. But I believe majority of the companies specialize in their own services don't just charge the price to make money from you. Just take a look at ClickFunnels. They charge $97 for their specialized service in building funnels. Yet Builderall is trying to so-called "spoil the market" by providing so many services at such a low price. My question to you is...Would you trust Builderall? Think about this, ClickFunnels is still the leading company/product in the funnel industry. Builderall is no where near. They're just creating a lot of buzz and trying to get attention. I don't know about you. But I would rather trust the companies that specialize in their own services, instead of spreading themselves too thin. Don't get me wrong! I love the concept that Builderall is trying to bring everything under one roof so that internet marketers like us don't have to purchase software after software for different purposes. But this is also their drawback. If they're able to level up their products some more to compete or even surpass the major players in the market, that will be great! The problem with Wealthy Affiliate is that if you are a free member, you do not get the whole package. And if you decide to stay as a free member and build a site, they will erase your sites, it happened to me. 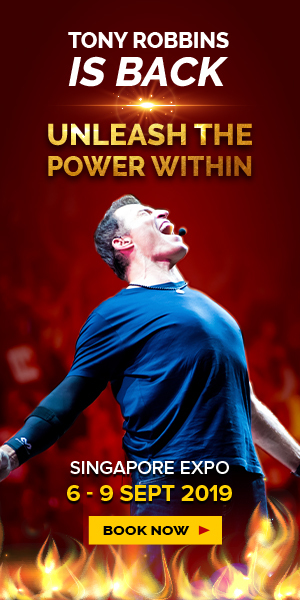 I challenge you to get something for FREE that comes with a full package. Every single program that has a free version is meant for people to test-drive the system/program. So, there’s nothing wrong with Wealthy Affiliate offering a Free Membership that doesn’t include the full package, right? As for the website you build as free member, they won’t erase your site. It never happen. There must be something wrong with yours. 2 Tire platforms are becoming more and more popular in the last six months. Did you make money selling their product? Sorry, I don’t sell Builderall products. Do you know what I am talking about? You can promote Builderall site and make a lot of money, I want to do that but in first seemed like a scam. And did you heard about Yoonla affiliate program? Wow pretty extensive review, man! First off you can keep WordPress and use the mailing boss from Builderall and use other tools as well. The price is the same as Wealthy Affiliate. Wealthy Affiliate teaches people to write reviews for products they have no clue about or do not use. Like yourself, you do not know the product and do not use it. The affiliate program is a two-tier program, unlike Wealthy Affiliate where you only get paid on the first level. Its all about value with Builderall. You can do it all using Builderall unlike WA. WA has some descent training and it uses WordPress themes that are all free when you host a wordpress website anywhere. We could keep going on but that should be enough. 30% of people use wordpress so that tells you the other 70% are using other platforms. Nothing wrong with WP but Builderall can hold its own and it does not require additional plugins. What WA doesn’t have, 3 website builders, animated video creator, mobile app creator, email marketing platform, heat map, webinar, chatbot, design creator, browser notification, share locker tool, script generator, ready-made sales funnels, marketplace to sell affiliate products, over 1000 premade website templates just to name a few things. Now WA you do have a good Keyword Tool. Appreciate someone pointing this out, and thanks for your honesty. Hi Rodney, awesome feedback regarding Builder All. I use WordPress and BuilderAll – depending on my client’s budget and if they want to do their own updates or not… All my Builder All clients are super happy and I am enjoying being able to build a site within 3 hours… there add on features as you mentioned are great! And their community is also great. Jerry, maybe it is time to check them out again… they have upgraded/added a whole lot of new awesome features. A great Affiliate platform to belong to… It’s my first Affiliate Marketing platform where I am getting commissions from… I have just joined WA as it seems great too. I’ll check out WA as per your recommendation and see if it’s the right platform for me. Can I move from Wealthy Affiliate platform to WordPress if I wanted to? I signed up for Builderall. They have a great support group through Facebook. The biggest problem I have is the lack of responsiveness on mobile devices. It is a nightmare building a website that you want to look good on all devices. That being the case it is useless to me. I’ll be going over to Word Press with a drag and drop plugin. I had high hopes for Builderall. I wish I had read your review prior to signing up. Good article! Have a great day! Hey Jerry! Thanks for indepth review. Thanks for your comment and you’re questions are great! I’m happy to answer them for you. 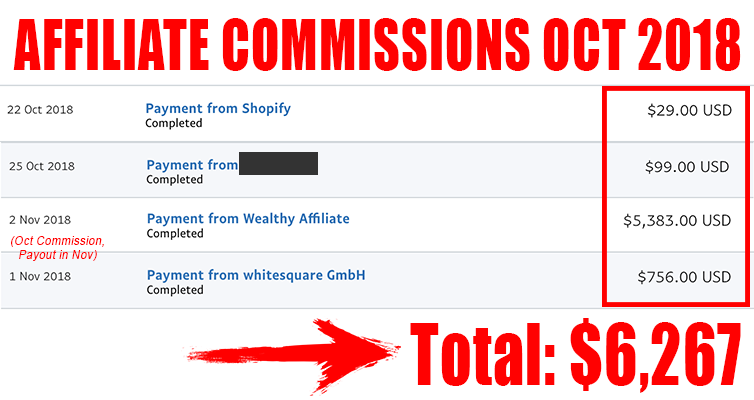 For that, I would recommend you to check out Wealthy Affiliate. 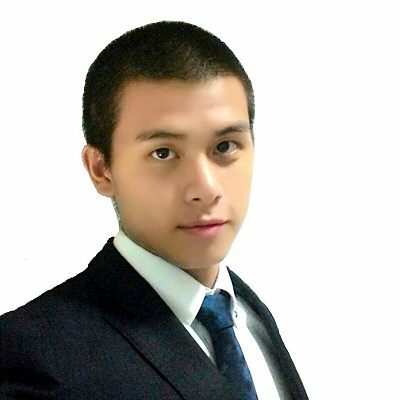 It’s my top recommended platform to help people get started with affiliate marketing. This is a bit more advance but I hope that makes sense to you. Thanks for the review! I am glad reading this information but I would like to know how I can get leads and conversions in case I use Builderall in promoting my affiliate links. Thank you! Regardless of whether you’re using Builderall, those techniques are the same. Conversion – having relevant content and offer, do A/B testing, etc. Jerry, what do you recommend as the best landing/lead page builder in the market? Thrive Architect! 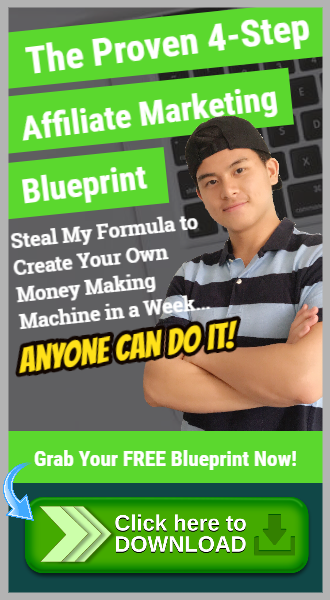 It’s the one I personally use to build all my landing pages here. You can check it out via my affiliate link here! Thanks for your comment Alexandra. No matter what, Builderall’s site builder has a lot of problems from what I see. How can I link up with your sponsor? I currently use Wix, not WP, but I think by switching I might lose my included gsuite. Having said that, I might financially break even if I were to switch then pay for the gsuite independently. Just a thought. Something to look into further. Very helpful review, thank you. Ok thanks for your info about the commission. However, do you really understand what is mobile responsive? Builderall seems like a great platform, however the fact that it’s not supported by WordPress kind of turns me off to it. Therefore I’ll have to pass on it and stick to WordPress for now. I have tried both Builderall and WordPress. I like Builderall, and there is no need to create fresh new website in order to make it mobile or tablet responsive. The only thing is you just have to ADJUST the spacing of buttons or the other stuff which you made for your desktop version. It helped in my case! I’m glad you’re sticking to WordPress! Hey Jerry, this is a really good review! Thank you for your lengthy comment! I did a lot of research before I choose WA and just like you, I highly recommend it! I will definitely stick with WA. I’m glad that you’re going to stick with WA. It really makes no sense to switch platform unless you’re just starting out, right? I have used both Karta and Builderall. I’m also a member of Wealthy Affiliate. Kartra is a very good system and little more user friendly you could also build and add html code on WordPress pretty cool price a little more than builderall. Wealthy Affiliate long standing member I cannot ever see that changing. Not because of the tools on offer the community is why I will remain a member the training and Kyle and Carson in my opinion are the real deal and that spreads through there programme. Builderall I have been a member for three months taking my time checking it out the owner to me is of the same mould of Kyle and Carson the real deal he seems like he genuinely believes his company is here to stay and wants all of his clients to make cash for him and themselves and he seems pretty generous with it builderall have some excellent ideas and what you get from there package gives plenty of bang for your buck and there affiliate programme is astoundingly good so my opinion on a value type of comparison builderall blows both kartra and wealthy affiliates clean out of the water oh you forgot to tell that poor punter how much thrive themes cost. You have to pay them $50 to promote the product? That’s insane! I’m really glad that you posted such an in-depth review because on the surface Builderall actually looks really good to me. I may have signed up without even realizing the limitations of the program. Thanks for sharing this post. You’ve gone into a great level of detail here. Thanks for highlighting upfront that if I want to move any of my websites to this platform, I would have to create them from scratch. It does have quite a comprehensive set of tools to make this option attractive though. It’s something I’ll have to look into further if I decide I’m OK with the financial lock-in. Hey Norman, thanks for your comment and support as always! Hey Jerry, I love your review. Why does WA offer a keyword tool, hosting and more at $49? Either way, WA is a great place for newbies to start an online Business and make their first dollar online. Disclosure: I’m a member of Both Wealthy Affiliate & BuilderAll. I didn’t talk much about WordPress because this is a Builderall review. So, I’m really thankful that you mentioned a lot more details for WP. My pleasure Lawrence. Thanks for dropping by!